Starting from the hotel we ride a circle around the city. Riding through the historical centre where we see the byzantine church of St. Sophia we are heading to the exurbal forest of Korylovos. Then we meet the building of the National Institute of Tobacco , a picture of the golden era of tobacco in Drama. Cycling to the south part of the city through the area of the tile works we enter the area of St. Tryphon. 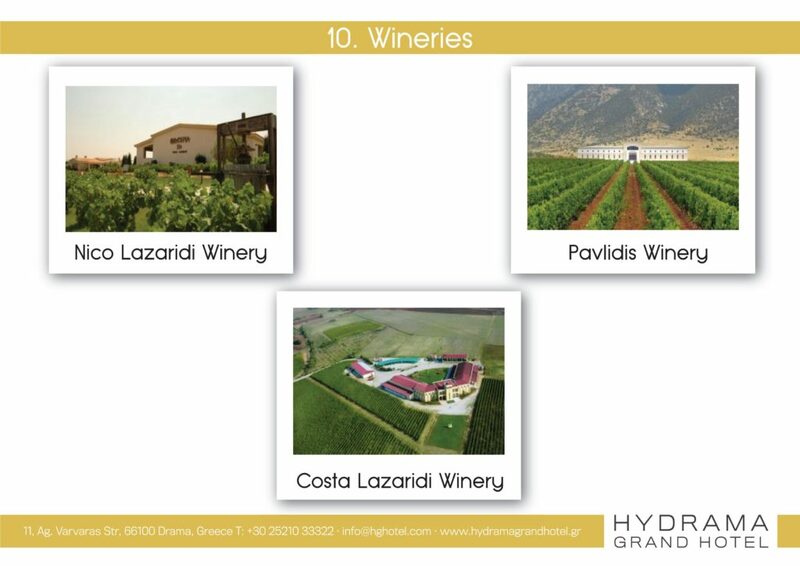 Here thanks to the special microclimate there have been the vineyards of the city . The returning to the hotel is through the Railway Station and part of the centre of the city. The route is 12 km and lasts 2 hr. Press here to see the route. 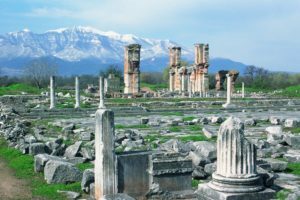 Starting from the village of Kali Vrisi at the foot of Menikio Mountain and cycling via the vineyards one will reach the archaeological site that is attributed to the god Dionysos’ temple. 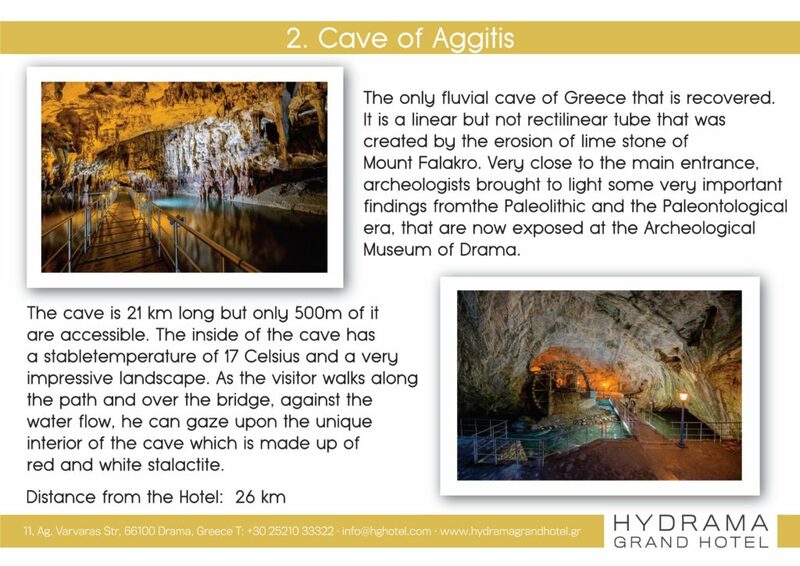 You will continue cycling through an area that is a game reserve until you reach the springs of the river Aggitis and you will be able to visit the remarkable cave as well. 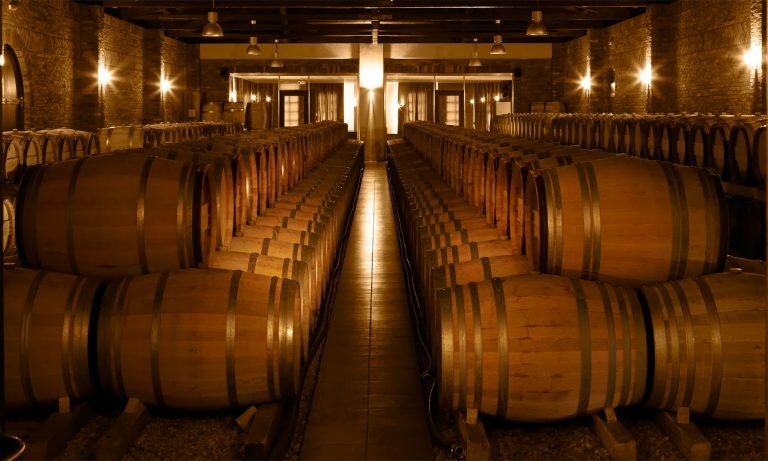 The next stop of this trip is the winery at the village of Kokinogia, where further guiding and wine tasting is offered. 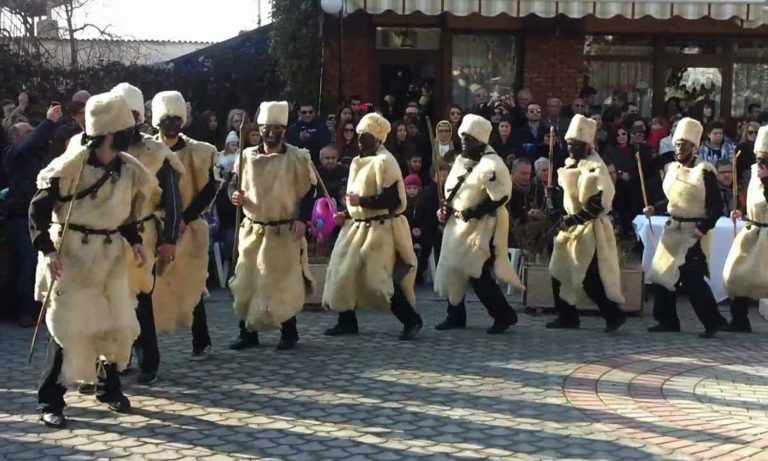 The final destination is the capital of the municipality, the city of Prosotsani where a Folklife Museum is open. The route is 21 km, lasts about 4,5 hours and it is on rural and provincial road. 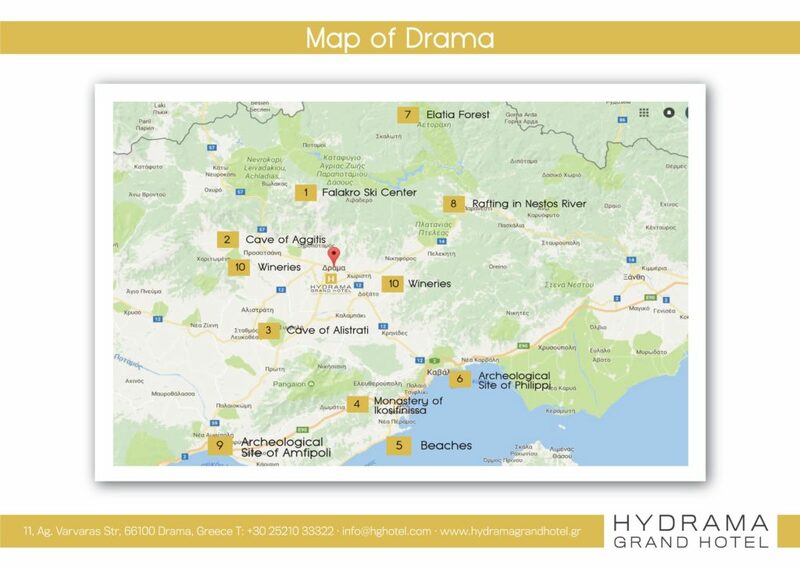 We leave back the city of Drama heading to the fertile plain of the prefecture. 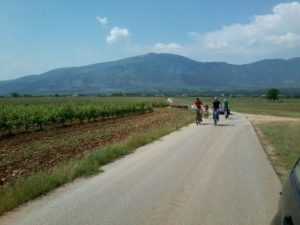 Mainly cycling on rural roads through corps of cereals, cotton and energy plants we reach Mylopotamos, a small watermills’ village of the last century. One of the restored watermills is the aquarium of the area when one can meet rare species of sweet water endemic fish of this part of Greece. 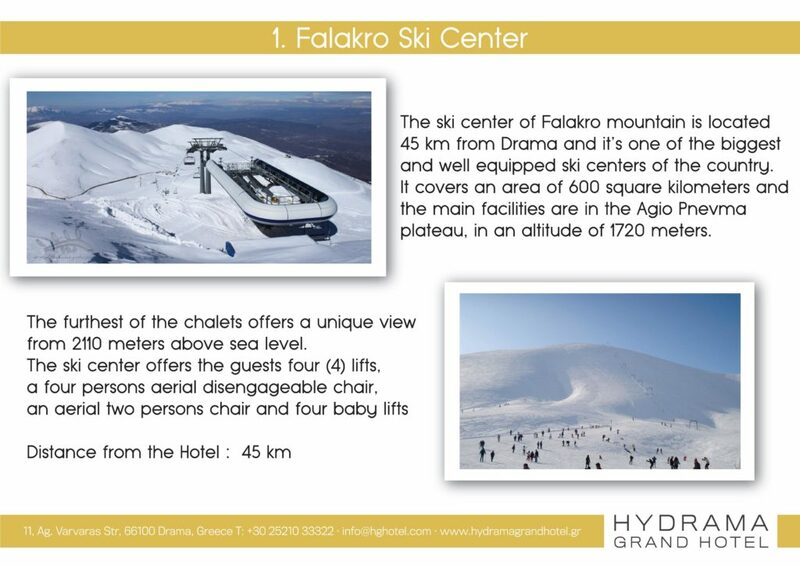 The length of the tour is 11km and lasts about 2 h.
The trip is a tour of the south western peak of Falakro Mt. (Agios Pavlos – 1753m.). 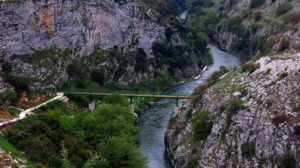 On one side of the route one can be seen the springs of the river Angitis and on the other side the sinkholes from which this river is formed. This area was for many years the passage from the Drama basin, and the area of Nevrokopi as well as the borders to Bulgaria. 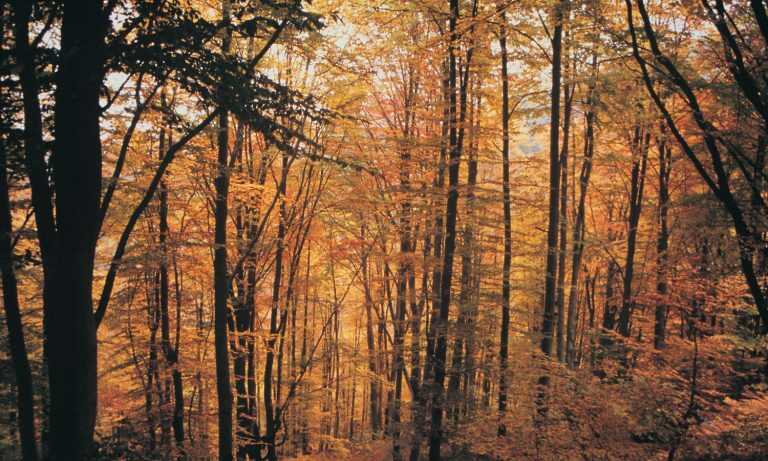 There are big differences in the natural environment and microclimate of the area. 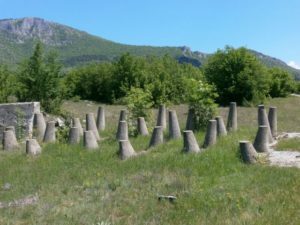 Βunkers of World War II, antitank impediments, religious monuments and an uncompleted sanatorium, are just some of the varied sights available on this route. 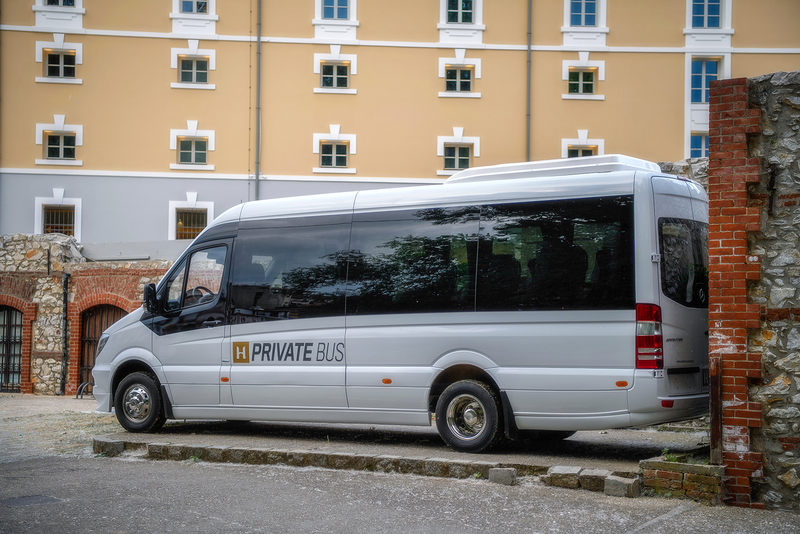 The route lasts 4,5 hours on forest and disused provincial roads. 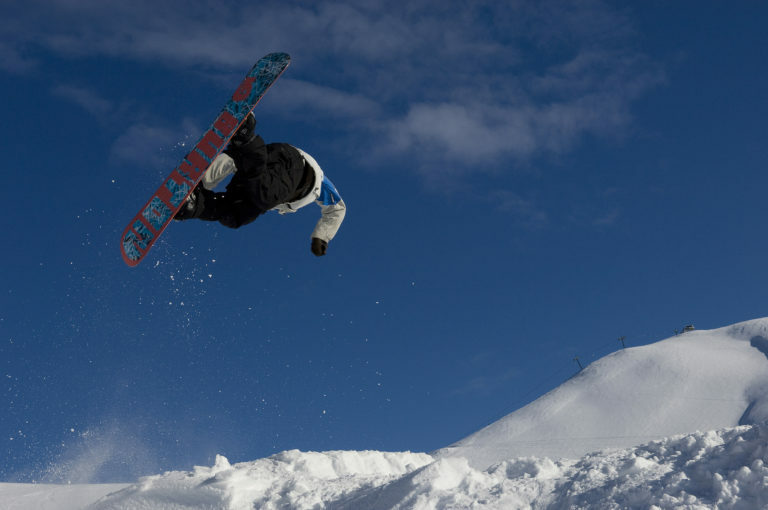 Recommended to highly trained persons. This ride starts from the dam of Aggitis at Simvoli village and goes on a bikeroad built parallel to the stream of the river. Thanks to the panoramic view to the canyon we have the chance to see mountain paths, caves as well as birds of prey nestling on the rocks. Saint Lydia’s Holy Baptistery : In this spot, in the waters of Zygaktis river, was baptized by the Apostle Paul the first Christian in Europe, the Greek Lydia from Philippi (she was sanctified later on), a dynamic trader of purple with slaves working for her, rare fact for a woman in her time. The octagonal temple is impressive, as it combines decorations with stained glass, mosaics, marble and gold. Monastery of Panagia Eikosifinissa : In the evergreen Pangaion Hills, at 753 m altitude, lays the Monastery of Panagia Eikosifinissa (Virgin Mary of the Twenty Palm Trees, in Greek), one of the biggest pilgrimage sites of Macedonia and the oldest active Monastery in Greece and Europe alike, which possesses a miraculous icon of the Virgin Mary. 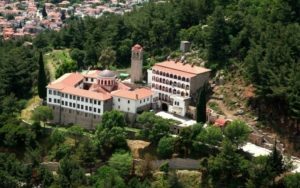 Monastery of St. Minas : 1,500 meters west of the village Perihora, at the location “Tagkala”, on the slope of a picturesque ravine surrounded by a pine forest rises in magnificence the Monastery of Saint Minas. The Monastery of Saint Minas represents the idealized form of monasticism for the local population. 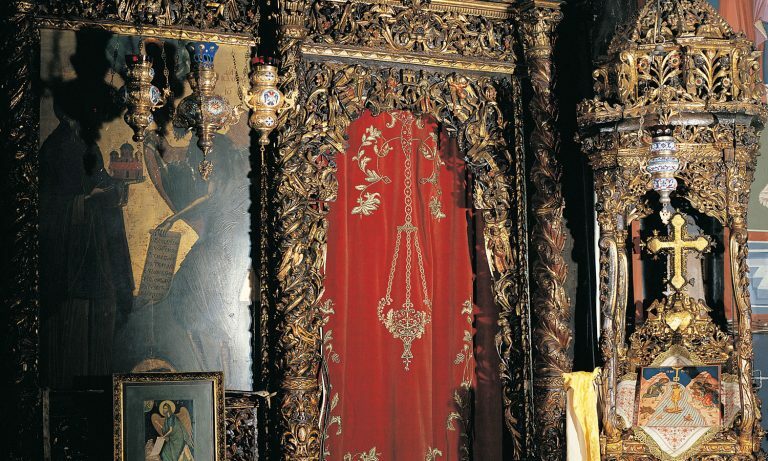 It was the outcome of years of persistent and painstaking efforts with the limited technical means available during the ’50s, as well as the blessings and support of Kyrillos Karbaliotis, the late Archbishop of Zihni (1943-1952) and Agathangelos Tsaousis, the late Archbishop of Zihni & Neurokopi (1952-1965). Today, it is a spiritual beacon under the inspired spiritual guidance and continuous care of Spyridon, the present Archbishop of Zihni & Neurokopi. 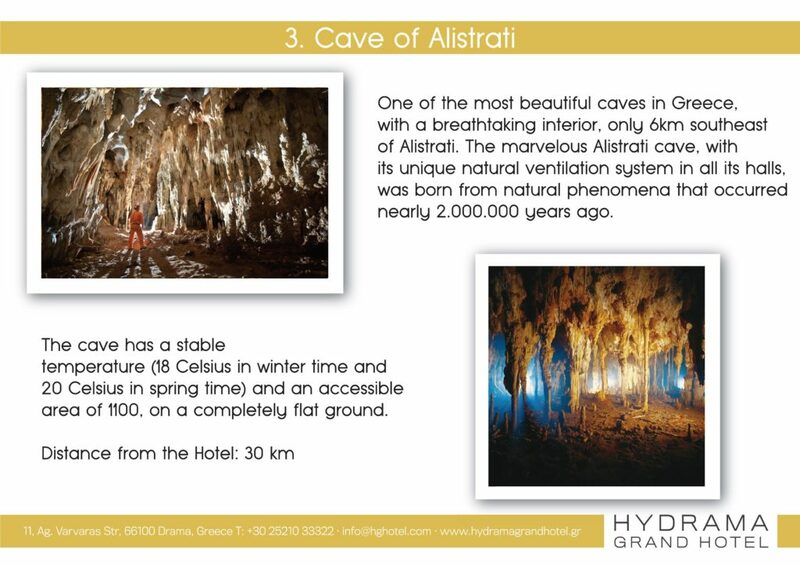 Cave of Alistrati : The wonderful cave of Alistrati, with its unique natural ventilation throughout its sections, was formed by natural phenomena which took place over 2.000.000 years ago. 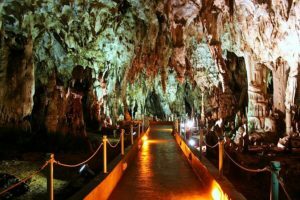 The temperature inside the cave is almost constant throughout the year: 18°C during winter and 20°C during summer. Its total surface area stretches over hundreds of acres, but the visiting course is only 1,100 meters long on a totally flat surface. Monastery of St. Paraskevi : On a picturesque location, lies the Monastery of Saint Paraskevi, with a history which goes back 750 years. Little is known as regards the exact time and means of its construction, covered in mystery. 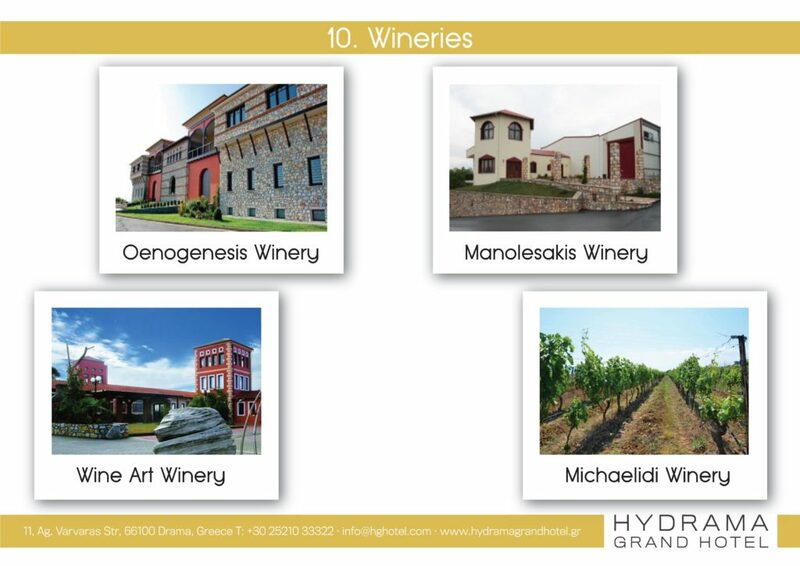 Yet, it is considered to be one of the oldest monasteries in Greece. 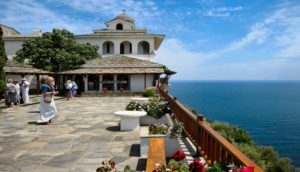 It is the first convent in Macedonia and has a deep connection with the center of Orthodox monasticism, Mount Athos. 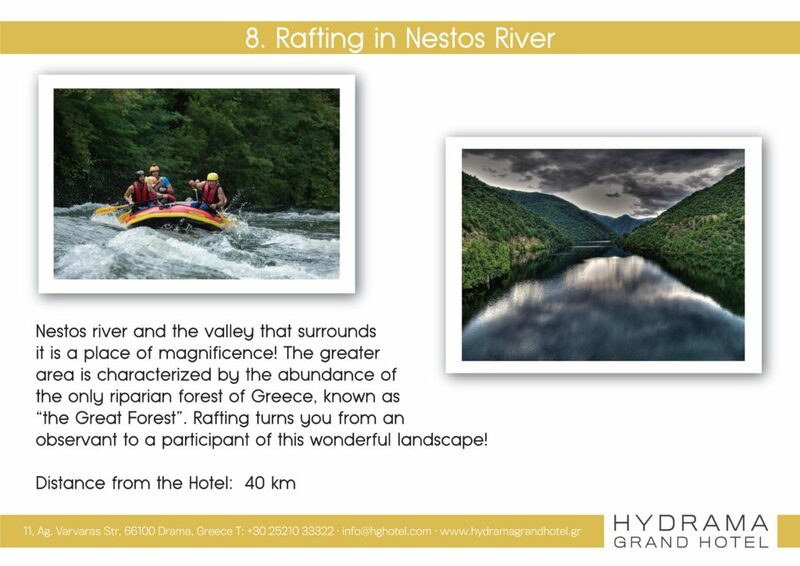 Porto Lagos : Porto Lagos borders the counties of Xanthi and Rhodope and more specifically at the point where Lake Vistonida meets the Thracian Pelago, a location which combines in a exceptional way the green shades of the forest with the blue shades of the Greek sea. The Monastery of Saint Nikolas is built on a reef in the center of the lake. It is connected to the mainland by a wooden bridge and has a small guest house. 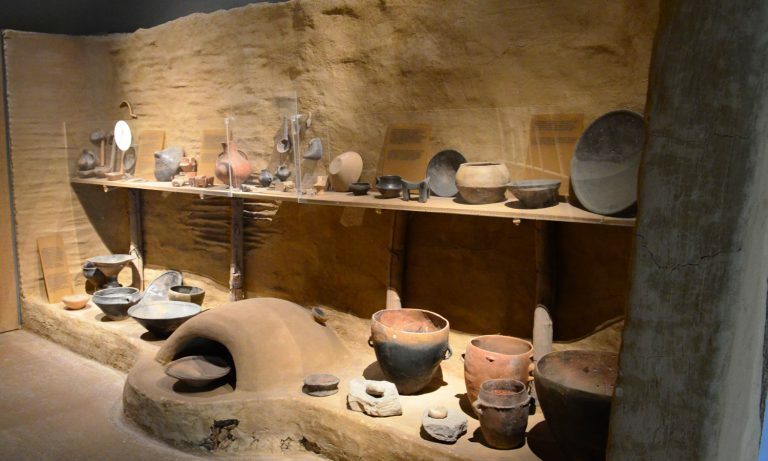 The Museum has archeological findings from ancient Avdira, birthplace of several philosophers, and from the Lake Vistonida. 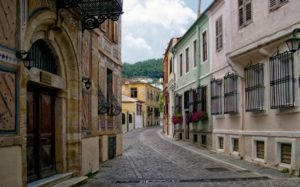 Old Town of Xanthi : The Old Town of Xanthi is located in the northern part of the city and constitutes its historic core. It was built after 1829, when major earthquakes completely destroyed the previous settlement. 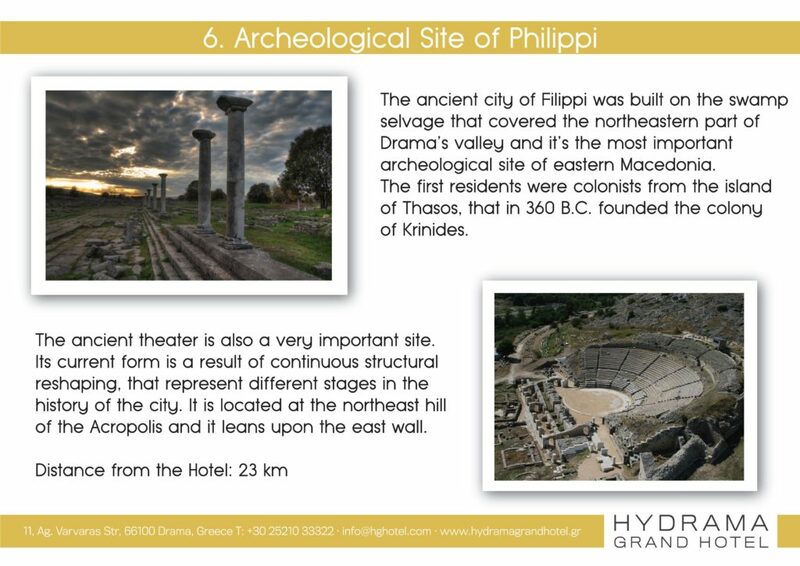 The Old Town is built upon those ruins with reference to the byzantine churches of Xanthia (as the city was named since the antiquity). 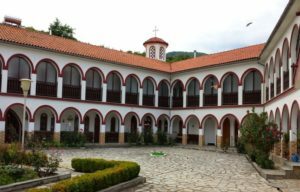 Iera Moni Panagias Kalamous : The Monastery is located north of Xanthi, on a mountain which dominates the gorge of Kossynthos and the surrounding area. Unfortunately, apart from a few icons, especially the icon of Virgin Mary, nothing testifies about the past of this Monastery. 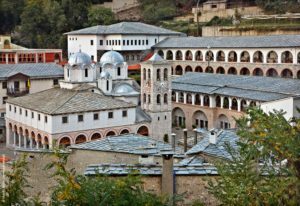 However, according to popular beliefs preserved until today, the Monastery was built during the years of iconoclasm (726-843) from iconolater monks who fled from Constantinople and settled here in their effort to escape the fanaticism of the conflict. 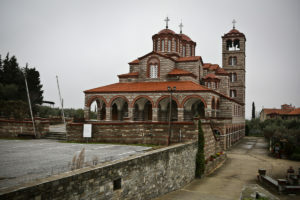 As regards the name of the Monastery, “Kalamou or Kalamiotissa”, it comes from the fact that the icon of the Virgin Mary was found in some nearby reed [kalamies, in Greek). 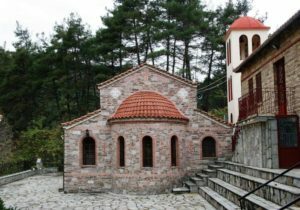 Iera Moni Panagias Archaggeliotissas : The monastery of Panagia Archaggeliotissa (Virgin of Archangels) is located northeast of Xanthi, at the foot of the massif of Rhodope. 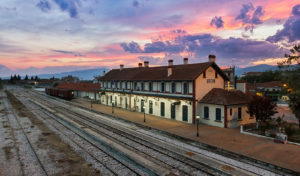 The Monastery’s structure remains the same since 1841, when it was built during the era of Eugenios, the late Archbishop of Xanthi. Ecclesiastic books bear the information that the Monastery existed under the same name since 1559. A reminder in a Codex reads:”The present structure belongs to our Holy Mother Mary, the so called Archaggeliotissa, above the city of Xanthi“. Monastery of Panagia Paggeotisa : The Monastery of the Holy Virgin Mary “Virgin of Pangaion” is located in the NE side of the Pangaion Hills, two km above the village of Hortokopi, at an altitude of 200 meters. Its construction had begun in August 1978. A family of refugees from Pontos (actual northern Turkish coast on the Black Sea) who came back from Russia to Greece and settled in the village of Hortokopi in 1940, happened to bring them the miraculous icon of the Virgin. 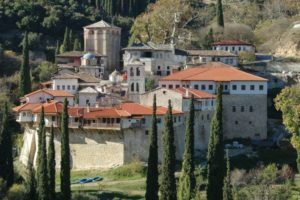 Monastery of St. Pantaleimona : The Monastery of Saint Pantaleon was founded in 1978 and is located in Chryssokastro, just twenty km from the city of Kavala. When the disaster of the Asia Minor occurred, following the population exchange, the Turkish population left and refugees from Asia Minor settled in their homes. The first concern of the pious inhabitants was the construction of a place of worship. They transformed, thus, the existing mosque into a church dedicated to their favorite Saint Pantaleon. 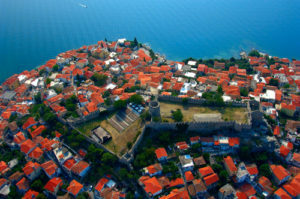 Kavala : Kavala is one of the largest cities of Northern Greece. 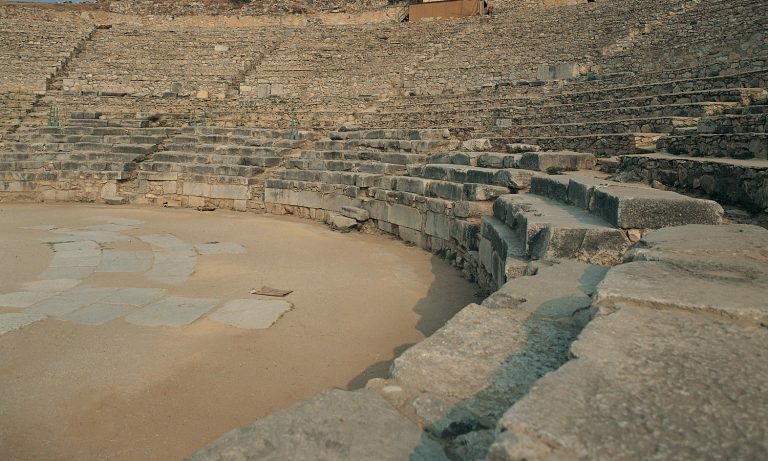 When entering the city, the visitor gazes her lying amphitheatrically between the slopes of the surrounding hills and overlooking the northern side of the Aegean Sea. 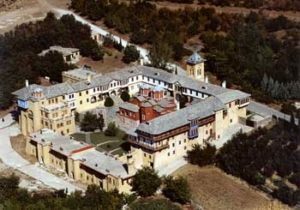 Monastery of St. Prodromos, Serres : In the depths of a canyon, surrounded by cypresses, planes trees and pine trees, stands the Monastery of Timios Prodromos (John the Baptist). It was built in 1270 AD and despite multiple disasters it remains a monument of extraordinary beauty of Byzantine art. 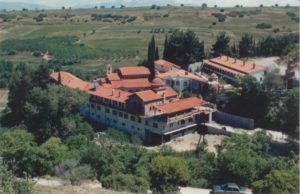 Monastery of St. Prodromos, Akritohori : The Retreat of Timios Prodromos (John the Baptist) Monastery in Akritohori, Sinitiki, was built in 1981. It hosts 40 nuns. 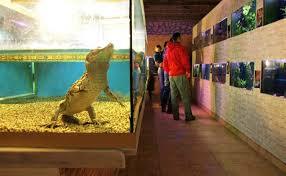 From here, the visitor may admire a breathtaking view, as the Kerkini Lake unfolds in all its magnificence. 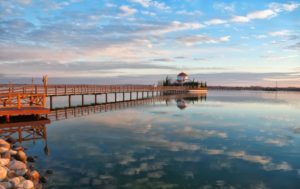 Kerkini Lake : Kerkini is an artificial lake, formed in 1932, after the construction of the Strimonas River dam. 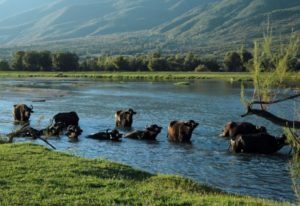 It is a wetland and a landscape of rare beauty, protected by national and European environmental laws, which overlooks Mount Belles and the valley of Serres. 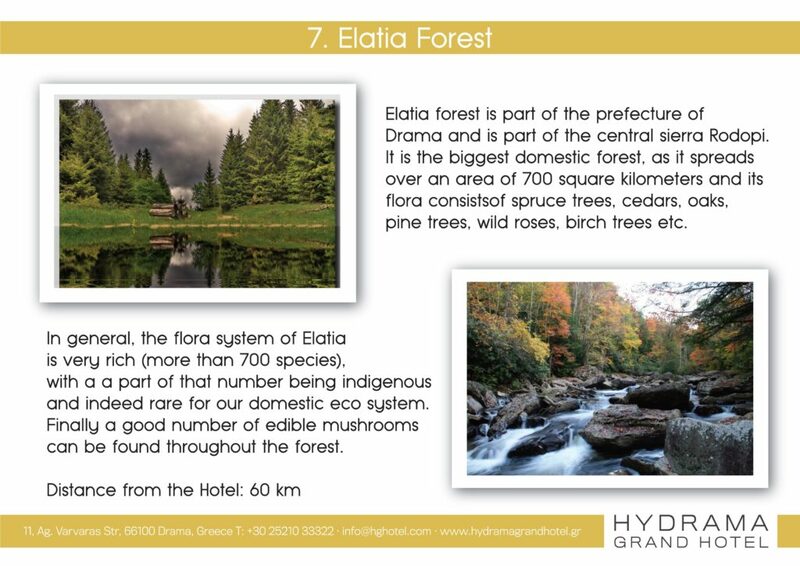 It is a highly regarded scenery for its riparian forests, ponds filled with water lilies and a variety of fish, source of additional income for many locals. 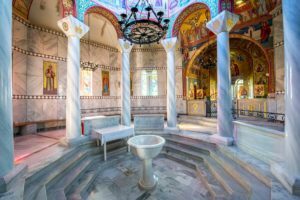 The Convent of the Archangel Michael is the biggest and the most famous monastery of Thassos and is the site of important pilgrimage. It is built on the edge of a cliff and the view over the Aegean Sea is really magnificent, as it conveys the impression to the visitor that hovers. In 1110 AD, the hermit Luke, obeying the command of Archangel Michael, built in this location a small chapel in which flowed holy water. 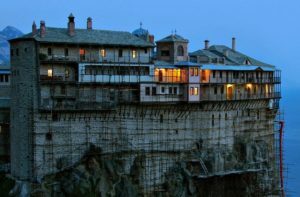 Monasteries of Mount Athos : Mount Athos is a self-governed part of the Greek State, located on the peninsula of Athos, in Halkidiki, in Macedonia. It embraces twenty Holy Monasteries and other monastic institutions and informally designated as “Autonomous Monastic State”. 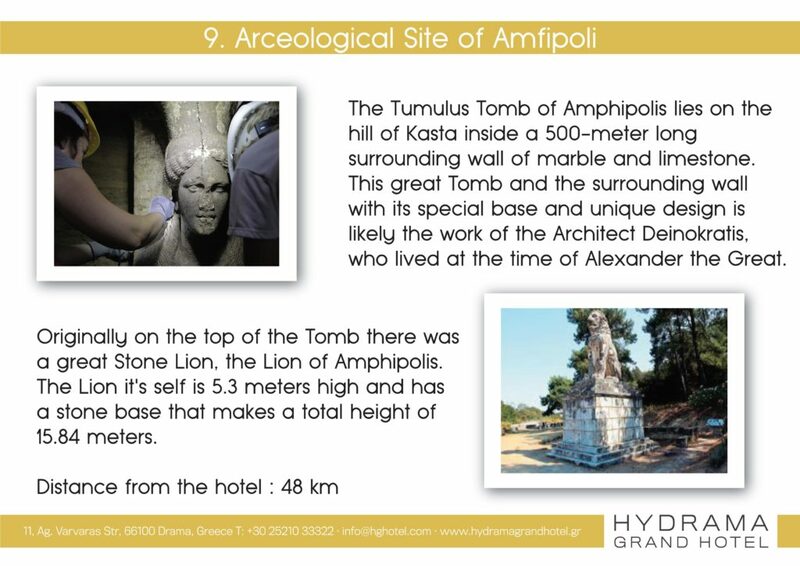 Since 1988, it figures on the list of UNESCO’s World Heritage Sites. 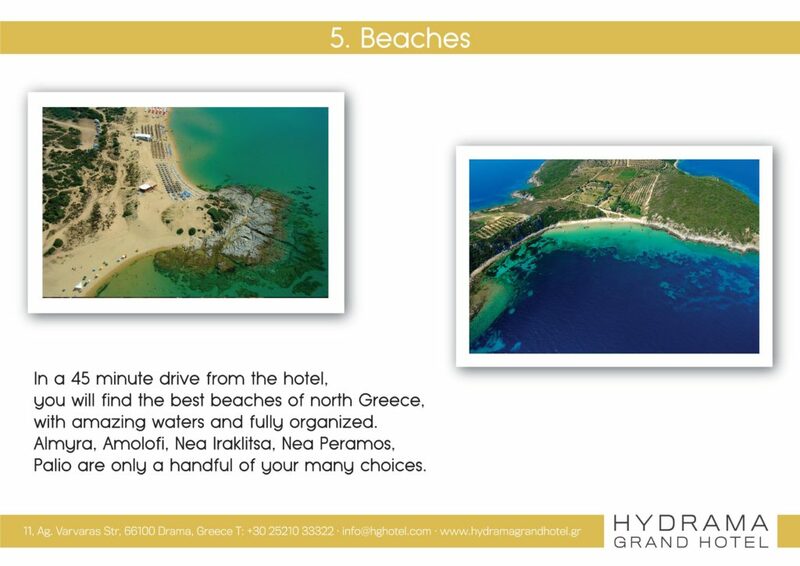 This third peninsula of Halkidiki, the more to the east and the most beautiful, currently holds the entire monastic state. 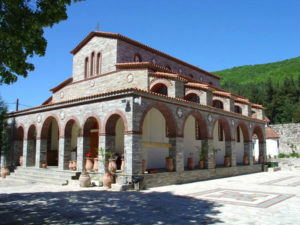 It is the only place in Greece which is completely dedicated to the prayer and worship of God. For that reason, it’s called the Agion Oros (Holy Mountain, in Greek).